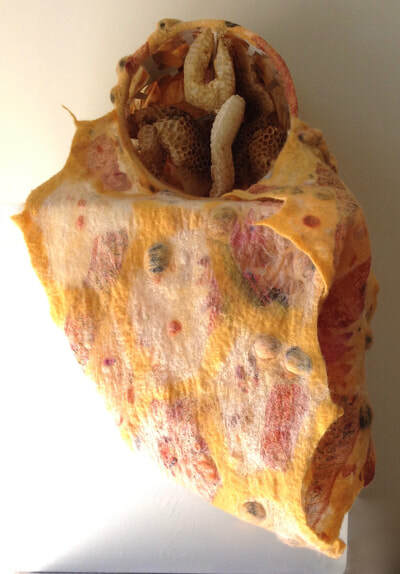 I am a felt/textile artist combining my latest passion as a beekeeper. 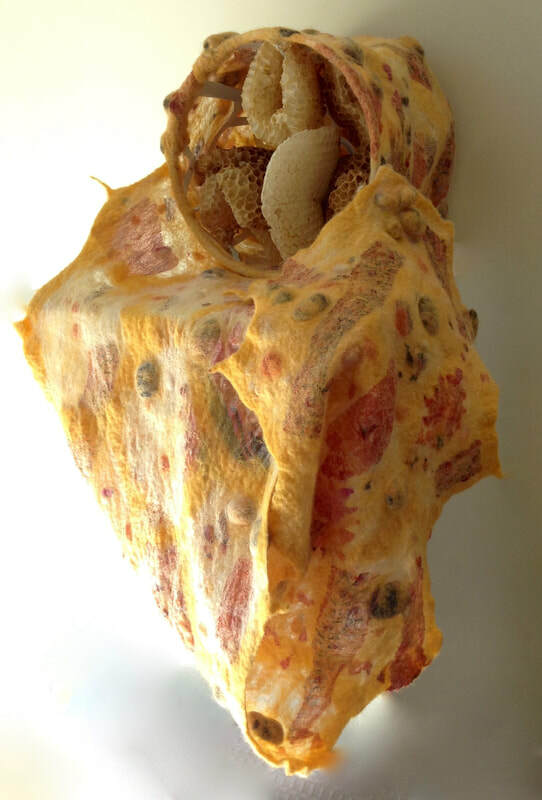 I incorporated the honey and brood comb that the bees in my hives created this year from their inherent nature to swarm and expand. Honey bee colonies date back at least 30,000 years in their present form. 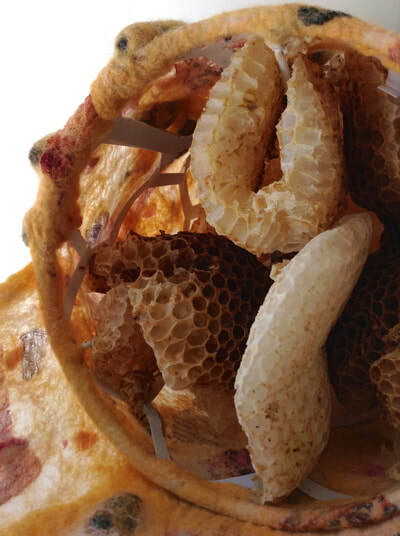 The honeybee is a sacred life form and deserves to be revered in a shrine. Every super market should have one to remind us that pesticides kill pollinators and our industrial food production system is out of balance with nature. 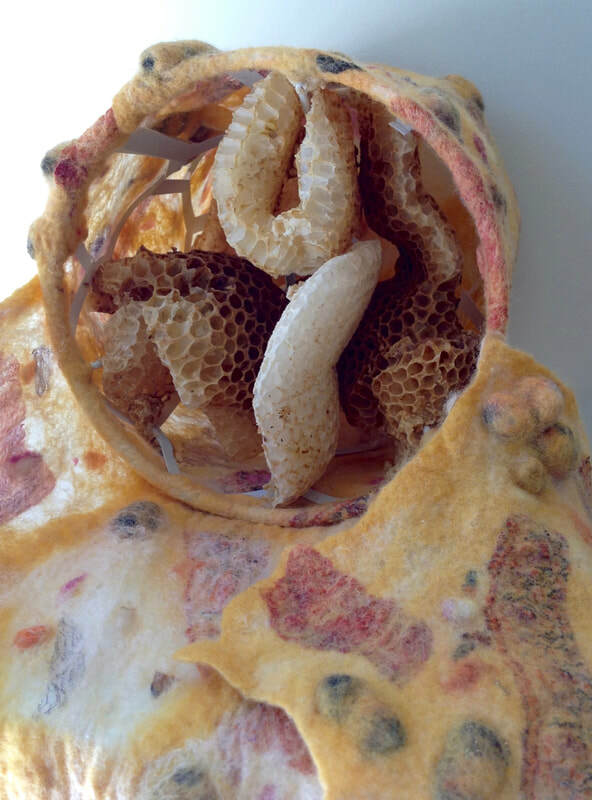 I used the felt lace technique to secure my bee prefelts along with the inlaid silk that describes the honeybees pathways to flowers. The hexagon shape is used by the honeybees to create their comb for raising their young and storing their food supply of honey to feed the hive and that is why the felt is surrounding a lamb shade created with hexagon cut outs and there are hexagon shapes within the felt lace.